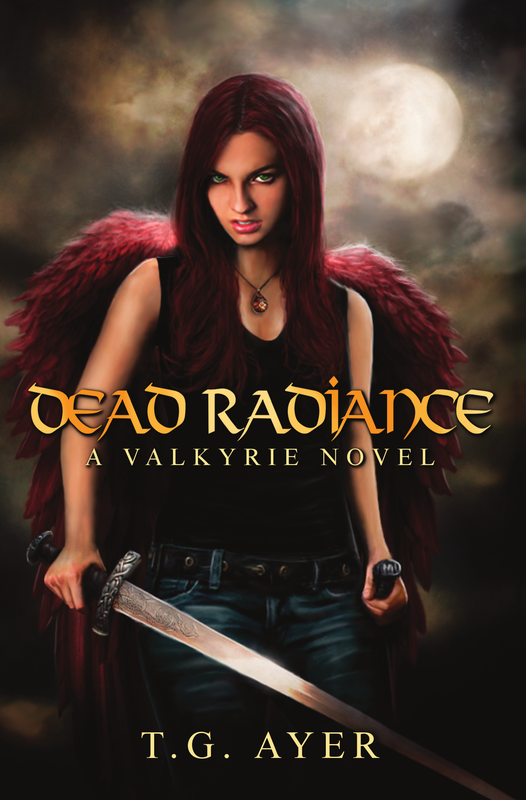 Check out Dead Radiance from my fellow YA Indie Carnival author T.G. Ayer! For as long as she can recall Bryn Halbrook (Bryn, great name, right?) has seen a golden aura around certain people, and it is only when her new best friend Joshua dies that she understands the glow means death. Bryn struggles to adapt to a new town and a new foster home while trying to deal with the guilt of being unable to save her friend. Until mysterious biker-boy, Aidan Lee arrives. When Aidan unexpectedly takes off he leaves behind a shattered heart, a tonne of unanswered questions and a mysterious book that suggests Bryn is a Valkyrie. Bryn is faced with questions about Aidan’s real identity, the real reason he came to Craven, and that Odin, Freya and Valhalla just might be real. As if accepting her new wings, new life and new home in Asgard isn’t difficult enough, Bryn is forced to find and return the precious necklace of the Goddess Freya. The only problem is – if she fails, Aidan will die. The mystery of a Mythology is easy to enjoy. The reality is much harder to accept. If you’ve already read it, let me know what you think below. I wish it were available via Kindle (for my phone), but I’ve added it to my shopping cart nevertheless–sounds intriguing!